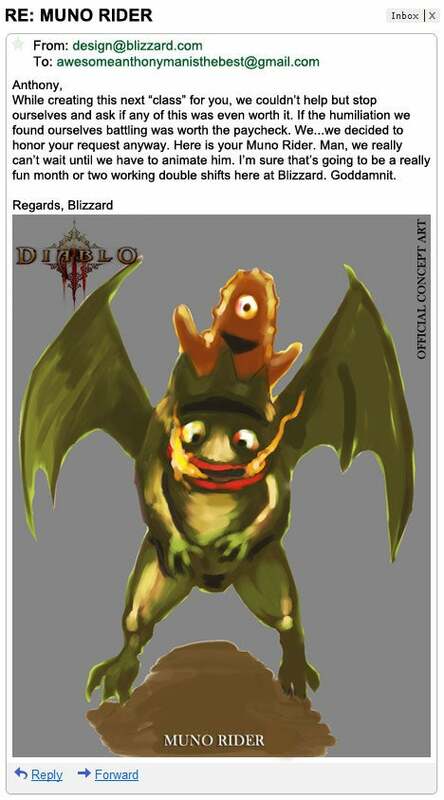 IGN has posted a comedy feature showing off the “Rejected Diablo III Classes.” The gimmick is that Blizzard President and co-founder Mike Morhaime‘s (fictional?) son is full of terrible ideas for Diablo III classes, and through some Kim Jong Ill-esque nepotism he’d been given power over the game designers. Wacky MS Paint-style hijinks ensue. 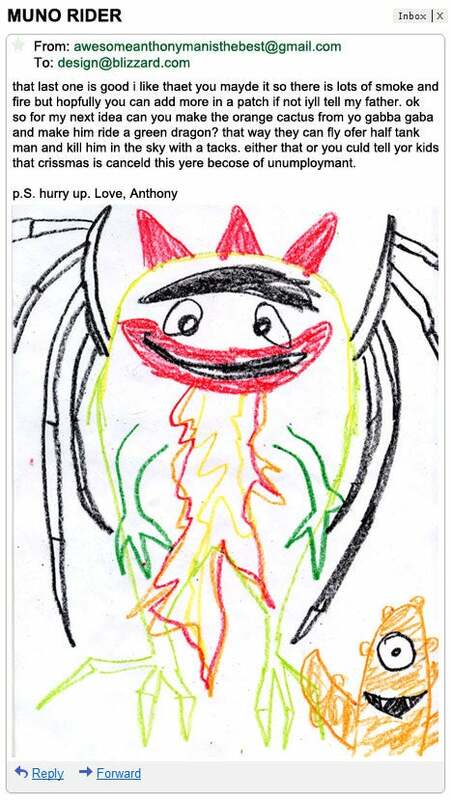 Here are a couple of the samples from the article; if there’s anything to recommend this one, it’s the impressive quality of the “official” concept art versions of the ludicrous crayon scribbles that Mikey Jr. keeps submitting. Thanks to Bad Ash for the tip. The blue monk skill is probably a skill rune of Crippling Wave. The monk’s pose and the faint blue trail in front of him support that theory.